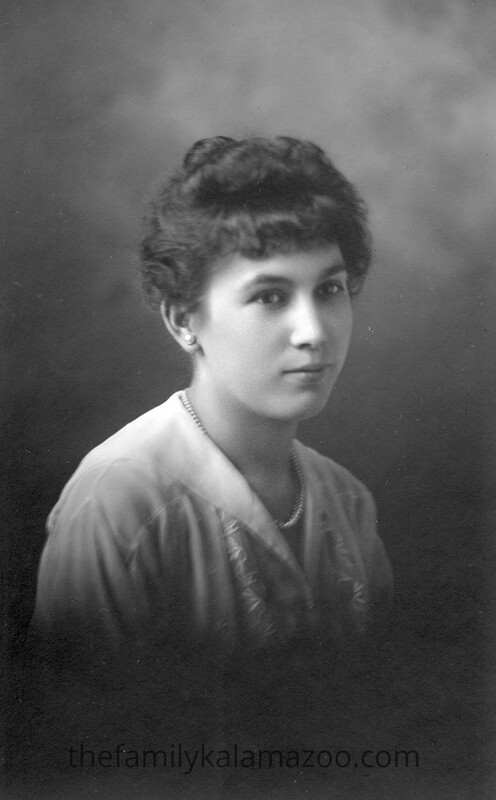 My paternal Grandmother, Maria Anna Elisabetha Klein, was born 127 years ago today in Budesheim, Germany. 3 April 1892. She immigrated as a toddler with her family to Illinois and grew up in Elmhurst. Eventually she raised her own family in Chicago. 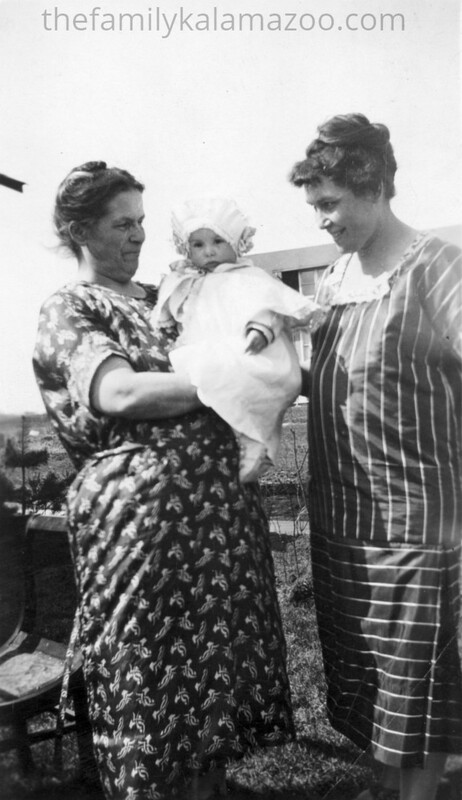 The next image is with her mother and her first child, Margaretha (Marge). This photo would be approximately 1925. The photo above would be sometime before that–perhaps before 1920. The third photo is Grandma with Marge as well. Notice how my grandmother’s foot seems swollen. I inherited the condition of primary lymphedema from her. Eventually her legs and feet swelled to much larger than this. She had to cut little Vs out of her shoe vamps. I wear compression stockings and have access to a pump that relieves some of the overflow fluid. She not only didn’t have the same treatments, but she didn’t even have the proper diagnosis. 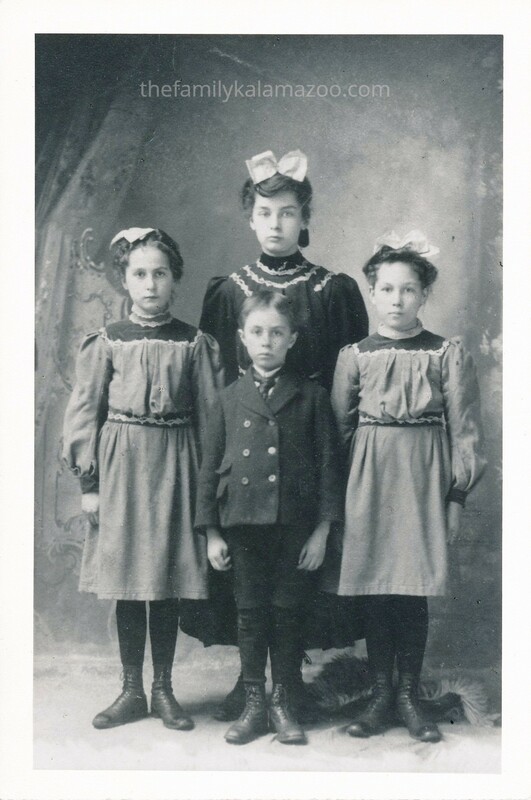 Quite sometime ago I published a photo of my grandmother and her siblings as children. 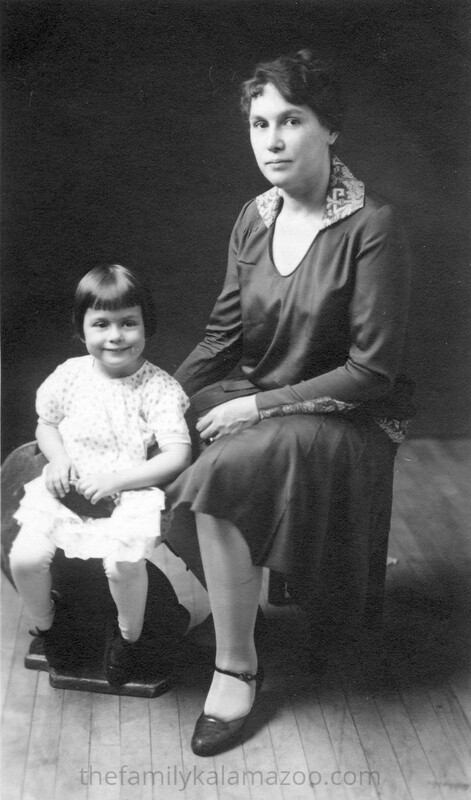 It is the only known photo of Grandma as a little girl. There are different opinions about which of the two shorter girls is Grandma. Grandma moved to Kalamazoo during the 1960s and died there on 25 APRIL 1974. Happy birthday, Grandma. RIP XO.